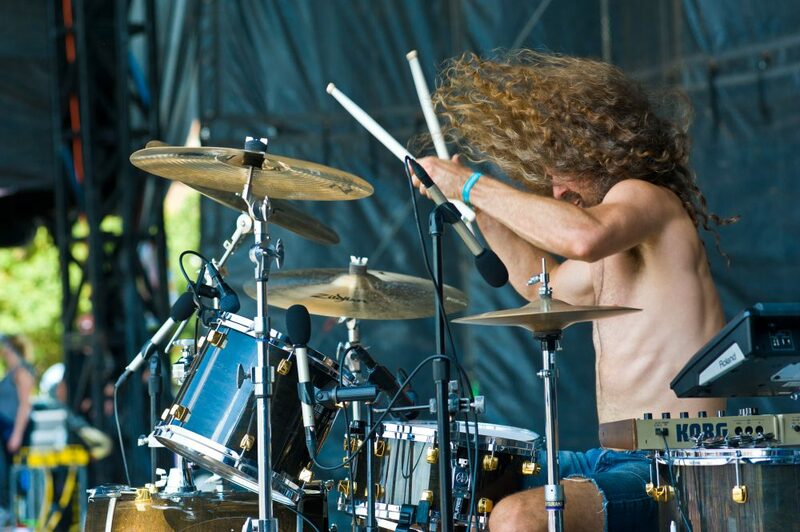 Kevin McKeown of Black Pistol Fire rocking out at Riot Fest. Photo by Timothy Hiatt. 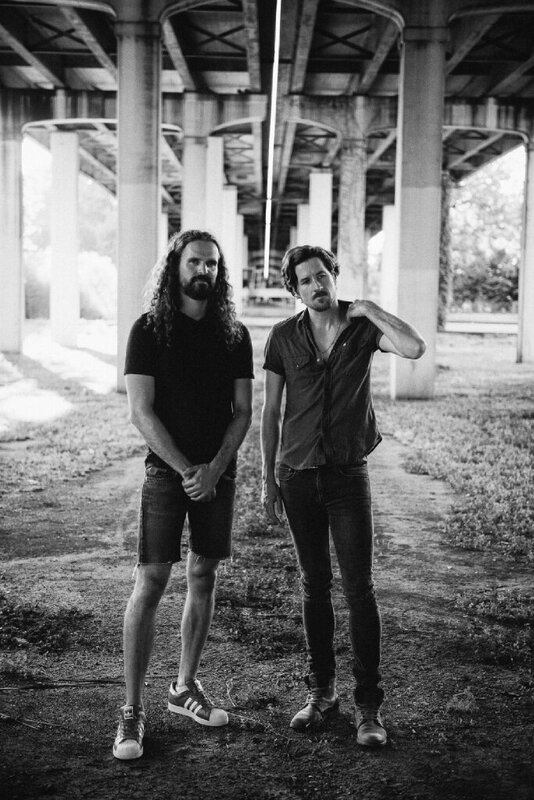 Black Pistol Fire is a gritty rock and roll duo based out of Austin, Texas by way of Toronto, Canada. They played an afternoon set Saturday at Riot Fest and will be back in Chicago in November. The Chicago Ambassador’s Bob Chiarito sat down with guitarist/lead vocalist Kevin McKeown and drummer Eric Owen minutes after their high-octane set. CA) How long have you guys been in Austin? CA) You guys arrived here last night? Do anything fun? MCKEOWN) Yeah. We got some Thai food near our hotel that made me sick. OWEN) We also went to Miller’s Pub. Then we stumbled on some interesting Mexican music festival. We didn’t know what was going on but it was fascinating. Eric Owen of Black Pistol Fire at Riot Fest. Photo by Timothy Hiatt. CA) That’s cool. So, this is the first time you guys have played Riot Fest, right? OWEN) Yeah. We did Lollapalooza a couple years ago. CA) What was your reaction when you got the Riot Fest gig? OWEN) I was so excited because it’s a real rock fest. It’s a rowdy festival, it’s in the name, Riot Fest! MCKEOWN) I was stoked as well. CA) What do you think is the main difference between this and Lolla? OWEN) There is no pop music here. Lolla is amazing, but there are pop acts there. That’s cool, but this is more genre-specific. CA) Are there any acts you guys are psyched to see? OWEN) Fidlar, Queens of the Stone Age and probably Wu Tang as well. CA) This question probably goes to the state of the music industry, but you guys have licensed a lot of songs to video games and tv shows. I think 20 years ago, that would have been seen as selling out, but now it’s necessary for exposure, right? MCKEOWN) Yeah. I don’t think there’s a backlash today. OWEN) If someone doesn’t like our song in a show, that song paid for our next album and the music that they want to hear. We’ve also turned down things. OWEN) Mostly because we thought whatever it was wasn’t so cool. Eric Owen & Kevin McKeown. Photo by Charles Regan. CA) Today you guys had a tough slot going on at the same time as Fishbone who was at another stage. It was interesting. I was watching you guys and then I walked to Fishbone and you can still hear you guys there, but you couldn’t hear Fishbone from near your area so you were a lot louder than them. OWEN) Really? That’s cool. I like Fishbone, they are cool. Did they have a big crowd? CA) Your new album comes out soon, right? OWEN) Yeah, in two weeks. CA) And you’ll be at the Bottom Lounge soon? OWEN) Chicago’s one of our favorite cities to play in, definitely in our top 5 places to play.